Have you ever wondered what it might be like if reality TV was authentic, or at least a little bit inspirational? 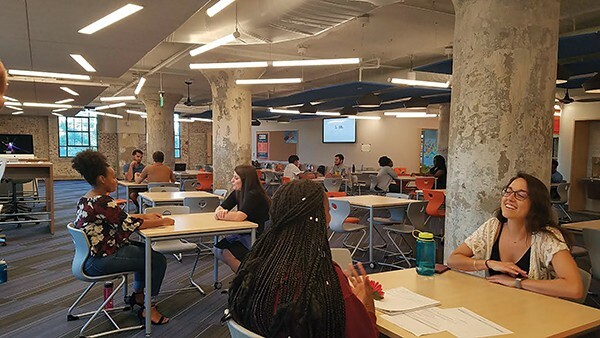 Pitch Night, a twice-yearly event hosted by LITE Memphis, provides Memphis-area high school students with an opportunity to sell their ideas to potential investors. It's a little like Shark Tank, only nobody gets eaten and the competitors are all young Memphians with big ideas. This year's Pitch Night presenters include Jordan Isaiah, who identifies himself as a product of special education and an ambassador for the special education community. He wants to redevelop academics to suit individual needs for "people who dream and process differently than others." His business is called R.A.I.N. Danielle Butler was inspired by her volunteer work at the Germantown Animal Shelter. Her Pampered Pets business is a partnership that makes leashes, collars, food, treats, and hygiene products available to new pet adopters. "Many families looking to adopt a pet don't always have what they need for pet care," she explains. Isaiah and Butler are just two of 35 students who'll present their business plans at LITE's Pitch Night. Ideas up for grabs range from a custom PC business to a personal pastry chef who wants to recreate your family's favorite recipes. "We'll have students with ideas from basically every industry," says LITE outreach coordinator Alexandra Thomson. "Anyone in Memphis can find a connection," she says. LITE stands for Let's Innovate Through Education. The Flyer profiled the incubator in an April cover story about the racial wealth gap in Memphis. Determined to play a role in narrowing that gap, LITE identifies and addresses historic obstacles to inclusive urban growth.